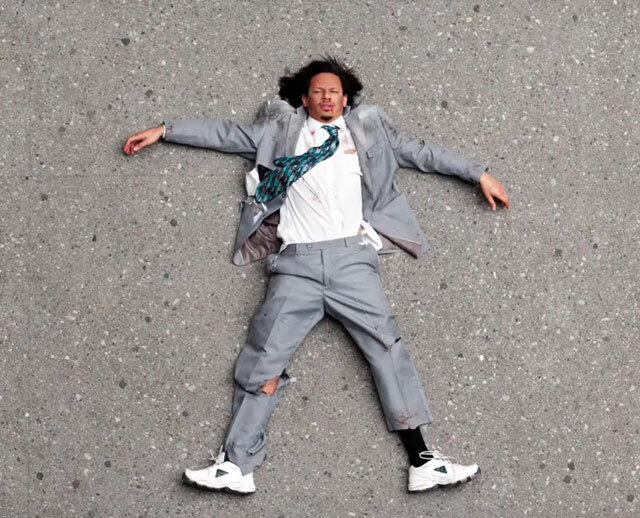 Comedian Eric Andre will be bringing his provocative brand of shock comedy and nihilistic satire to the Englert Theatre, Oct. 8 at 8 p.m. Andre is the host of The Eric Andre Show on Adult Swim with co-host comedian Hannibal Buress. Tickets are $26.50 and are now available for purchase online and at the Englert box office. Andre’s work has garnered critical acclaim, accrued cult status and made him an internet star for blending candid camera-style skits with absurdist antics and physical comedy (think Jackass plus The Arsenio Hall Show recorded in a hot tub, but on LSD). He’s pretended to vomit and slurped it back up while interviewing reality television star Lauren Conrad (which prompted Conrad to walk-off the set). At the RNC he crashed a live taping of the Alex Jones show, handing the political pundit a key to his hotel room and begged him to sleep with his wife. His style of humor is not for the squeamish, and that seems to be very the mission of his work — to exploit social mores and push the limits of discomfort on television. Iowa City will be Andre penultimate tour stop, with the national tour wrapping up in Los Angeles.